Dr. Woolf’s research began with a focus on adolescent athletes and PEDs. His recent research considered Goldman’s Dilemma, a philosophical question upon which a controversial study of athletes’ attitudes toward PEDs was conducted during the 1980s and 1990s by Robert Goldman, M.D., Ph.D. The dilemma Dr. Goldman posed for elite athletes was whether they would opt to take a drug that could guarantee them athletic success, but would also result in their death after a few years of consumption. Roughly 50 percent of the athletes polled by Dr. Goldman said they would agree to take the drug. As professional sports teams continue to grapple with PED use, rigorous anti-PED policies have been established worldwide to deter athletes from using. Public awareness of the potentially negative consequences of PED has also increased, corresponding to subsequent tests of Goldman’s hypothetical case that demonstrate much lower acceptance of PED use among athletes. Nevertheless, “doping” remains a critical issue in elite sports. In a series of articles in such prestigious publications as Qualitative Research in Sport, Exercise and Health, The International Journal of Sport Policy and Politics, The Journal of Sport Management and The British Journal of Sports Medicine, Dr. Woolf argues that Dr. Goldman’s famous study employed unreliable methods, generating many public misconceptions about PEDs. Historically, policy statements on steroids have claimed they are effectively lethal. “The fact is, steroid use is a complicated topic that often gets simplified in the media,” said Dr. Woolf, a champion power lifter who broke 14 records in 1988 and 1989 in his native England. “Steroids harm the body, especially if they are used long-term. But in an effort to convince athletes not to use steroids and other PEDs, the potential for harm has often been overplayed and the message has lost credibility. What’s needed is a more honest and informative approach.” By treating doping as a multifaceted issue, he is paving the way for scholars and sport managers who want to gain a better understanding of the psychology of doping and shape future drug control policy. Dr. Woolf’s research, including a study funded by the World Anti-Doping Agency, has given him profound insight into the prevailing cultural beliefs about, and attitudes toward, PEDs, as well as the changes that must take place to diminish their use. In turn, his research has proven to be highly influential. Dr. Woolf’s 2014 study of high school athletes explored whether the use of PEDs by professional athletes would influence their own decisions about PED consumption. “What I learned,” he said, “is that young athletes are much more influenced by what their friends are using.” From that research emerged a central recommendation: Young athletes need to be educated about PEDs much earlier, since attitudes toward drugs of all kinds may be formed during early childhood. That research—one of the Journal of Sport Management’s 10 most widely cited articles of the past two years—led Dr. Woolf to contemplate, increasingly, the underlying mind-set of athletes who consume PEDs. 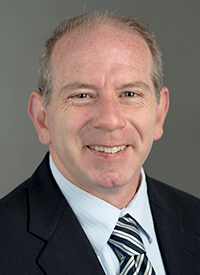 Julian R. Woolf, Ph.D., is interested in the ways that sport is managed and policy is set so that the health benefits we presume sport provides society can be actualized. His particular areas of research include the implications of doping and the roles sports play in human development. Dr. Woolf holds a master’s degree in education and a Ph.D. in Kinesiology, both from the University of Texas at Austin.